The famous musical expression, “There’s no place like home for the holidays,” takes on special meaning for us at the Messianic Jewish Bible Institute toward the end of each year. This year we have seen a supernatural growth in our ministry to the Jewish people around the world. I, and other members of the MJBI team, have put our feet on the ground in Russia, Argentina, Mexico, Zimbabwe, South Africa, Israel, Poland, Ukraine, France, and Great Britain. We’ve logged weeks in hotels and spent countless days and nights traveling in planes, trains, and automobiles, away from our families and loved ones. We gladly do all this because we believe in the biblical mandate to take the Gospel “to the Jew first” (Rom. 1:16). 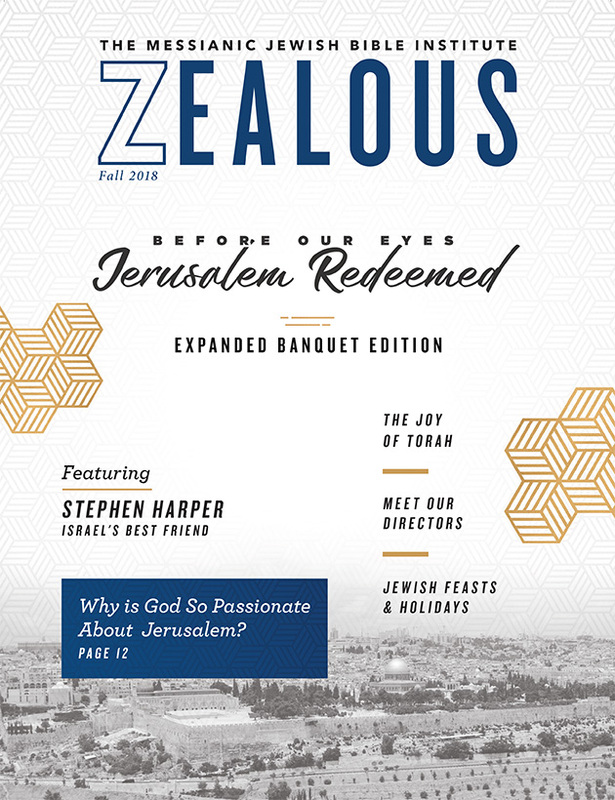 We’re crisscrossing the globe to bless the Jewish people with the love of Yeshua through our ministry of equipping leaders to reach all Israel. But we are home now, looking back on another amazing year of ministry. And as we look back, we realize how none of this would have been possible without you. Your support and friendship have been the wind in our sails! During this holiday season of Hanukkah and Christmas, it is my prayer that you are filled with the light and warmth of Yeshua’s love as you look back on 2018. When we light the Hanukkah candles, we’re reminded of the bright hope we have in our Messiah. And as we celebrate His coming to earth as Immanuel, we are comforted that a wonderful new year awaits us. From all of our team at MJBI, and from Tabatha, Naomi, Avi, Ruth Anne and I, we wish you a very Happy Hanukkah and a very Merry Christmas!